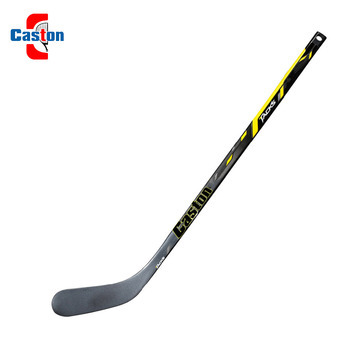 Established in early 2009, Caston Sports Manufacture Co., Ltd. is a professional manufacturer of high quality badminton rackets, tennis rackets, squash rackets, ice hockey and field hockey. Our company is devoted to the production of high quality products, so we have imported overseas production lines which are more advanced and stable than others. We have a professional team from abroad for the development of production structure and the design of product appearance, so that we can supply satisfying service to our customers. Our company is located in Xicuo Industrial Zone, Golden Road, Yongning Town, Shishi City, Fujian, China. Now, we have 50 employees including manager 12 people and can produce 500 pieces of rackets and hockey per day. With one-year development, our company has won a good reputation from customers in Korea, Japan, Indonesia, Germany, Canada, Russia and other countries and regions. We boast high quality products with a rich variety and fashionable styles and professional production,. We have attained ISO9001 certification for more normalized management. We aim to produce more professional goods so as to meet customers requirements. We sincerely hope we can supply more professional overall services for all customers. 2.Offer the professional design suggerstion and help to complete it. 3.Offer the original and cheap sample to test. 4.Offer the perfect racket with your logo and your design. 5.Turn back your sample fee when you have the order. 6.Offer you the perfact ordering tracking detail when producing. 7.Offer you the After-sales service.To improve product defects as the fact problem. 9.Offer the professional racket testing. Different Styles,Size and Colors can be produced upon Customer's Requirements. Your Racket shows Your Character. Superior Quality at Favorable Price, don't miss this kind of Racket.